Is there any Tassimo reusable pods, if so, do they work and where can I get them? Excellent questions and like most folk, you want to a) save some money, and b) save the planet, one plastic pod at a time. Now, we are not going to say either way as to whether you should consider the following methods, nor do we recommend any and you should always be aware that any of the below could invalidate your Tassimo coffee machine’s warranty but there are a fair amount of people willing to give this a go, so since you asked, we hope this helps! 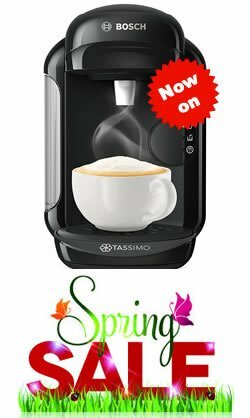 Are there any Tassimo compatible pods? Options are limited, perhaps because no one has found a perfect way to achieve the end result without the pods leaking, which they have a tendency to do. So, you are left with only one company! My Cap offer re-usable pods which you can buy direct from their US website or on Ebay. I have added some links to the Ebay listings below. Basically, the kit is actually just a Tassimo pod with a couple of holes cut out and a rubber bung to plug those holes. Having taken a look at the alternative My Cap option, you may decide that actually, the reason you got your Tassimo coffee machine in the first place was convenience and choice of flavours. So, if you are going to buy pods you may as well buy them at the best prices. Most folk we know buy pods 80 at a time via an Amazon Subscription as this seems to be the cheapest way and is extremely convenient. Using this method works out at only 18p per pod. Checkout our full money saving guide to find the best prices online and in your local supermarkets. Or for more information on Amazon subscriptions which offer discounts for anything you buy weekly or monthly, click here. 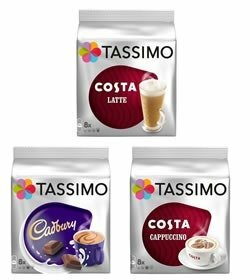 If you want to see the full range available, check out our Tassimo Coffee Pods page which lists every pod by brand and flavour and links through to what you are looking for on Amazon to make life easier. Very helpful. No doubt you noticed above that you can buy a kit to make your own re-usable pods. Well, in the interests of science and saving money and the environment we found this tutorial on Youtube which shows you exactly what to do. All you need is a used Tassimo pod, a drill/drill bit and a bung. You might want to skip through the drilling section as once you have seen one hole drilled, you have seen them all. Please note – Tassimo coffee machines work at high pressure, so, the plugs do have a tendency to pop out. At the very least, this makes a mess and could damage your nice pod coffee maker. Be warned. The answer to these questions is simple, unlike Nespresso pods where you can find compatible pods made by Aldi’s and other shops, there are no Tassimo compatible pods available on the market for which come pre-packaged with coffee, tea, hot chocolate etc, except the official Tassimo pods. You can however follow the instructions above to make your own or buy the re-usable kits. Be sure to come back again soon as we will update this page in the future if and when compatible Tassimo pods do hit the market. Trust us, we are like you, eager to find alternatives to try and keep the price down. However, at the end of the day, we want great coffee and choice, so for now, we will be buying our pods in bulk. We hope this helps answer your question, but what about recycling your pods? Take a look below to find out what options are available and how to do this easily. If you are wondering if your tassimo pods can be recycled, Tassimo UK have teamed up with TerraCycle to help with the mountain of waste created from your used pods. You can find out more information on how to recycle Tassimo Pods on the Tassimo UK website – https://www.tassimo.co.uk/terracycle/s-2384/ or sign-up with TerraCycle and start collecting the empty pods today. 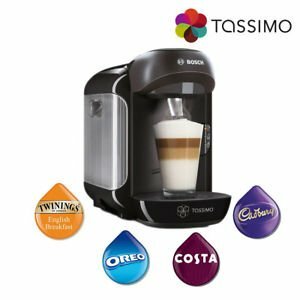 Be sure to check out our Tassimo pods guide which has tips of what to look for and video tutorials showing you how they work and where to get the cheapest t-discs.